The President of Macedonia has begun to give signs that he succumbed to the new parliamentary majority. Ivanov's cabinet informs informally the media that the latter plans that one day before the ten-day constitutional deadline expires will give the mandate to Social Democrat leader Zoran Zaev. Ivanov is examining the guarantees that Zaev delivered earlier, which guarantees the unitary state system. 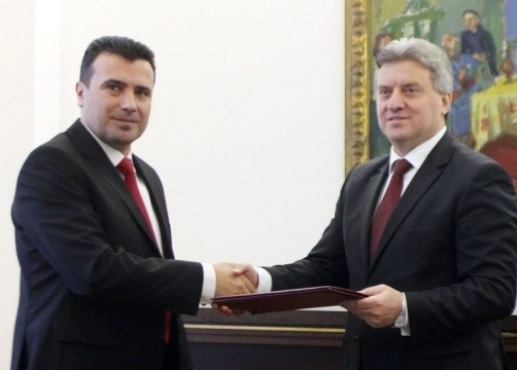 President Ivanov, outside of his constitutional powers, did not share the mandate with the new parliamentary majority because of the so-called "Tirana Statement" risks Macedonia. Thereafter, international pressure on him was followed for respecting the Constitution and democratic norms.